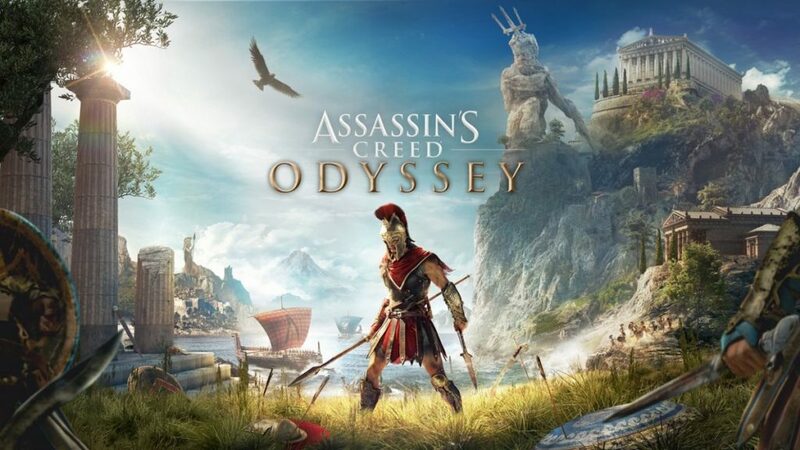 Ubisoft today has released Assassin’s Creed Odyssey Update Version 1.10 and 1.11 for PS4, Xbox One, and PC. 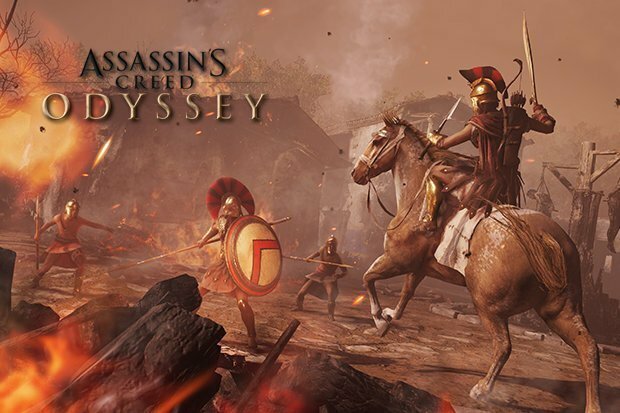 As being mentioned that Assassin’s Creed Odyssey: Legacy Of The First Blade DLC is coming in early 2019. 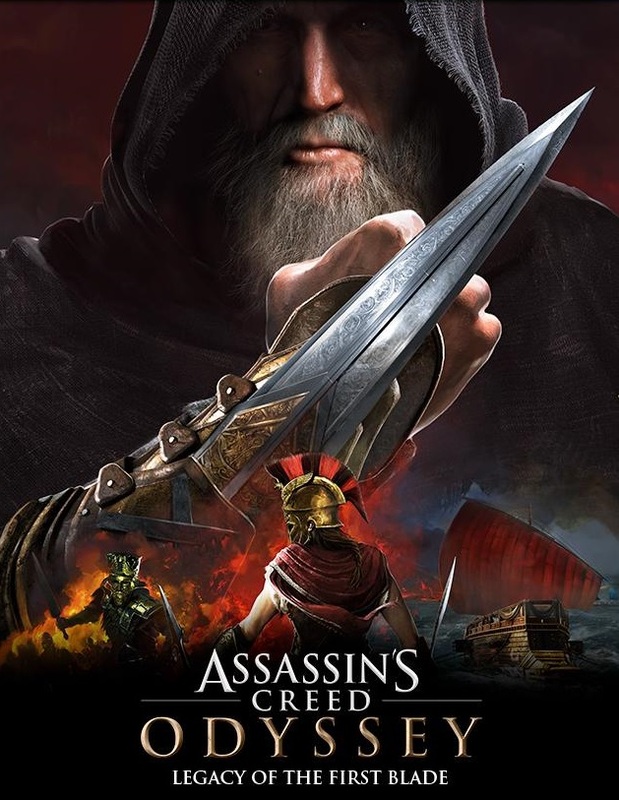 According to that, Ubisoft released the patch 1.1.0 to support the first episode of Legacy Of The First Blade DLC, and also added a Mastery Level system to the game. The patch 1.10 will also bring improvement to HDR functionality, including some options to set walking speed. In practically, the patch 1.1.0 adds a lot of new contents to the game, on the other hand, the patch 1.11 is made for fixing some issues, such as Tier 6&7 Burning’s issues, Poison Damage perks to working properly, and some texture issues on multiple characters. Addressed various texture issues with robes on multiple characters. Check out the most notable changes with Patch 1.1.0 below. ​Warning: Please note that these release notes contain major story spoilers. Added support for the 1st Episode of the Legacy of the First Blade DLC and the third installment in the Lost Tales of Greece. Added Mastery Level system to the game. Added fast travel points to Mythical Creatures. [PS4] Addressed an issue that caused screenshots taken to appear black in the Capture Gallery. [PC] Added an option that allows players to set walking speed. Added support for the first Episode of the Legacy of the First Blade DLC, Hunted, to the game. Will release on December 4. Added the third installment in the Lost Tales of Greece, The Image of Faith, to the game. Available after reaching Episode 5. Quest will appear in the quest log after having met the quest giver in Elis. Look for a blue quest giver icon. NEW! Added Mastery Level System to the game. Mastery Level increase specific statistics attached to the Assassin, Hunter, and Warrior ability trees and uses ability points to upgrade bonuses. The Mastery level Menu becomes available when reaching Level 50. NEW! Added fast travel points to Mythical Creatures. NEW! Added an option to the game to dismantle items directly at the Blacksmith. Added a tip to the game on how to quickly source Olivewood. The amount of crafting material being bought can now be increased significantly faster. Added more NPCs to the Skyros market. Fixed Burning Rate formula when too many bonuses were applied. Addressed an issue during the Medusa boss fight that could sometimes reset the quest causing the player to start the quest from the beginning. Addressed an issue that prevented the player from performing attacks underwater when equipping a weapon that allows breathing underwater while the airbag is red. Addressed an issue where Intoxicated Damage or Weakening perk was applied to the player rather than to enemies. Addressed various issues with floating or misplaced objects across Greece. Addressed various issues that caused the player to fall through the map or get stuck. Addressed an issue during the final Arena encounter where the enemy could deal damage even though the player is out of reach of the weapon. Addressed an issue that prevented Weekly Contracts from appearing. Addressed an issue where live encounters wouldn’t reappear after losing connection. Addressed an issue in Gluten-Free where Lagos’s son could pop up in dialogues when released before triggering the cut-scene. Addressed an issue in A Mother’s Prayer that prevented the player from completing the quest. Addressed an issue in To Find a Girl where Thugs would chicken out of combat if their leader is knocked out in front of them. Addressed an issue in Barnabas Abroad that could prevent the quest from being completed. Addressed an issue in The Final Push that could cause the quest’s objective to disappear. Addressed an issue in Pirate Hospitality that prevented the quest objective to update. Addressed an issue in the Unified Front where Euneas would sail away from the naval battle instead of helping the player. Addressed various issues in the Divine Intervention questline that could prevent the quest from being completed. Addressed an issue in Follow That Boat where Kleio could spawn underwater if the player leaves the ship during the follow Erina objective. Addressed an issue in Breaking Bread where the recommended Quest level differs from the actual level of enemy NPCs in the Fort of Arkas. Addressed an issue in A Bloody Feast where the player could maintain a full bounty bar under certain circumstances. Removed a dramatic black fade from a cut-scene in Athlete. Addressed an issue where wolves or dogs would drown when kicked in the water by the player. Addressed an issue with enemy NPCs who would have a hard time catching up while chasing the misthios. Addressed an issue where Mercenaries would sometimes stop chasing the player. Addressed an issue that caused Mercenaries & Fort Leaders to not deal the intended Basic Attack damage. Addressed an issue where enemies lighting up braziers continue doing so while being hit by the player. Addressed an issue where the Cretan bull stops attacking when the player stands VERY close to the bull’s face. Addressed an issue in Photo Mode where the reset button in Composition Mode would reset photo settings. Improved auto-focus functionality in Photo Mode. When opening Photo Mode it will now auto-focus the player if in view. Improved camera functionality in Photo Mode. The more zoomed in, the slower the camera. Addressed an issue that prevented the player from using the Photo Mode properly when activating while in Predator shot. Addressed an issue that allowed the players to cycle through pre-sets in Preview Mode. Conquest Battles no longer scale with the player’s level but stay on the region’s level. The inventory ship model will no longer vanish when equipping different ship designs. Addressed an issue that caused an incorrect background color to be displayed for Legendary Lieutenants. Addressed an issue that prevented the player to dismiss Tekton as Lieutenant. Addressed an issue where the thumbnail image of Epic Ship rewards didn’t match the actual look. Addressed an issue where the custom marker would fall underwater when the player marks any location on the open sea. Addressed an issue that caused Sea Shanties to stop playing when switching between “stop” and “resume” actions multiple times. Optimized game performance and stability. Addressed various issues that caused the player to temporarily freeze. Addressed an issue where the game could become unresponsive after accessing the Xbox dashboard. Addressed various camera issues, Cam.exe stopped working. Addressed various animation issues with NPC and player character. Addressed various animation issues with the Cyclops. Addressed an issue with Steropes who would slide around in opening roar animation. Addressed an issue with Ikaros who would harass enemies through buildings. Addressed an issue that allowed the player to open the Detailed Mercenary Benefits page from the Detailed Mercenary view. Addressed an issue with perks above Tier 5 that wouldn’t be displayed properly in the Detailed Character Stats page. Addressed an issue where weapons bought from the In-Game Store didn’t show up in the inventory tab.